Create a unique card thanks to Digital Scrapbooking app. You decide what elements are suitable and you can add your own photos. 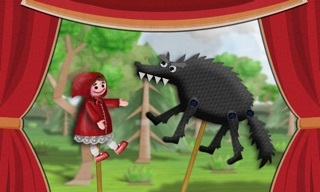 Cardmaking is an original idea to make electronic greeting cards. Next share your scrapbook layout on Facebook, Instagram or send with e-mail. Elements with which you perform your scrapbook are handmade with amazing accuracy. From the very beginning, you choose the interesting elements what makes that created card has an individual character. 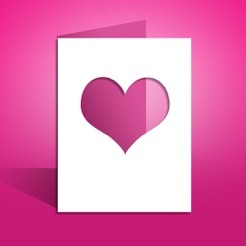 Create a card with the help of such movements as dragging, rotating, zooming. The person who got the digital scrapbooking is sure to please, knowing that you did it yourself. 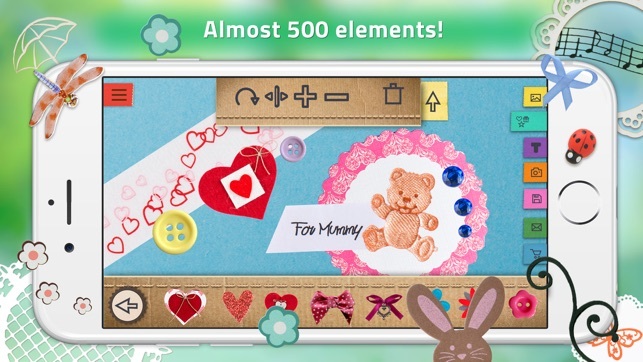 The idea for "scrapbooking card" apps was inspired by the love for creating hand-made things. On our team we have Mirela, who loves creating all sorts of decorative things for the home, e.g. cushions, decorative elements for children's room, Christmas, Easter & Valentine's Day decorations, and ornaments for every occasion. After work Mirela uses every spare moment to sew, glue, decorate or paint various wooden items used for household arrangements. She made her first birthday card from a special handmade paper. On the card, tiny pebbles and elements made of another paper were glued with a special adhesive - all of this created a great 3D effect. With this single card, and much encouragement from her loved ones, she began her creative adventure with scrapbooking. Her passion was embraced by our entire team, who turned the physical cards into digital scrapbooking, and all of this was rendered on a smartphone screen. 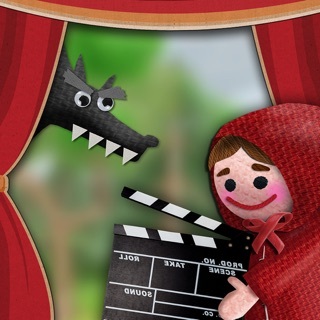 Different elements used by Mirela for her cards have been used in the app, which gives it its uniqueness and originality. We hope that you will love those tiny stars, hearts, clouds and other decorative ornaments. Some of them were made on a special scrapbooking device - that's why the application boasts some unique elements and different colorful backgrounds as the basis for each card. 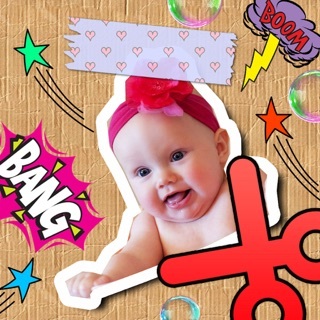 With this scrapbooking application you will create a unique Mother's Day cards using special backgrounds in red, blue, green, and many other colors. You can decorate each card with hearts, stars, Santas, gifts and bows. You can also add some extra tiny elements such as buttons, pebbles or beads, to make the card look even more fabulous. At the end you will choose a frame and include your own greetings. 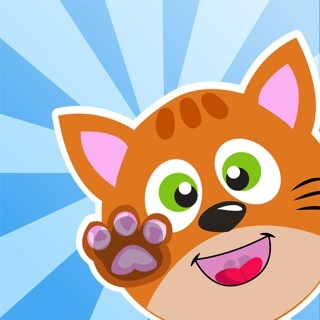 We are very happy to put into your hands a piece of Mirela's heart, which contributed to the development of this app. May the "Scrapbooking" always accompany you, not only when you want to send a card to a friend, mom or cousin for birthday or other celebrations, but also on any other days, when you want to send a card with a message that will make your loved ones smile. Imagine the smile, emotion or even positive astonishment when the person you appreciate receives a card made especially for them. Remember - every tiny thing given to another person will cause the same joy to return to us. 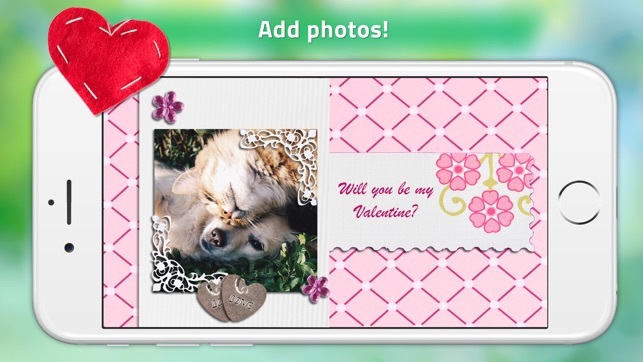 * Create beautiful layouts and albums from your scrapbooks. 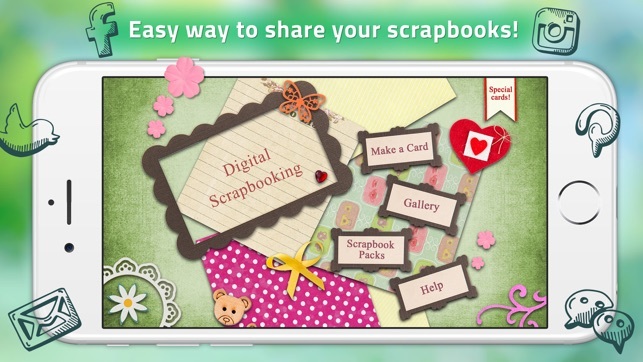 * Receive ideas on how to create scrapbooks. Sometimes we are confined to a limited variety of different types of greeting cards in stores. 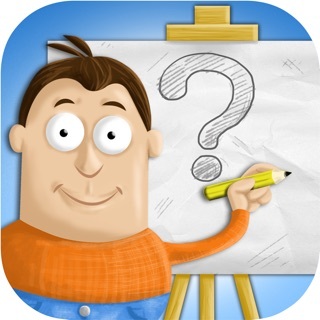 This scrapbook app is a great place to make your own greeting cards for various occasions throughout the year. There are many different options of including shapes, images, and colors, that make holidays extra fun! Would recommend to people who love sending cards. I will update this review if the problem is solved. I'll put a photo on, but once I add more than a few extra elements, my photo disappears. I tried it again and the text box wouldn't let me click to add text. I tried finishing it first than suddenly picture disappeared again. I'm really hopeful for this app if you can please fix these problems. I've bought several packs and I'll buy more if fixed. Thank you. 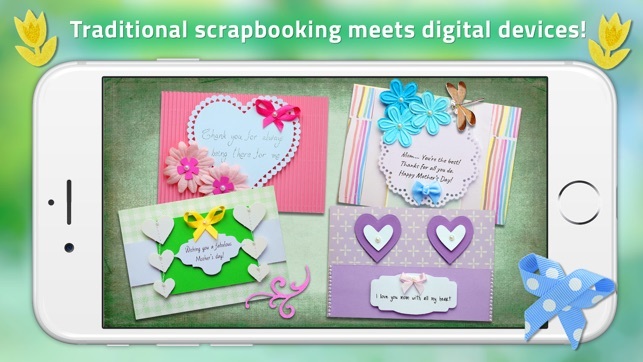 Digital Scrapbooking is a nice scrapbook app. It downloaded and installed without a hassle. 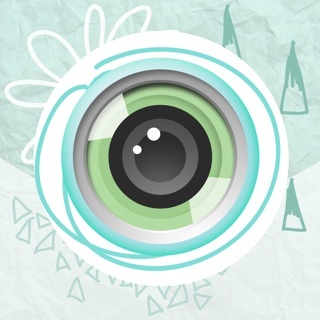 I love the app's smooth interface and I like how easy it is to navigate through it. I was able to create me an Easter card with my own images in my gallery! 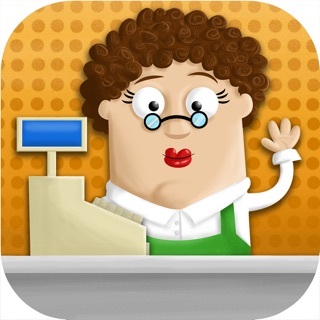 I found no issues while using the app. 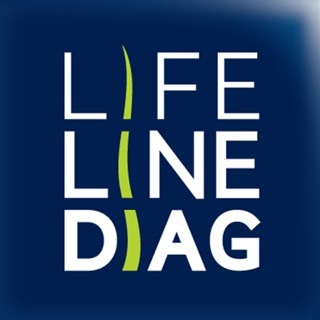 Lifeline Diag - Jesteś o włos od pełni życia!